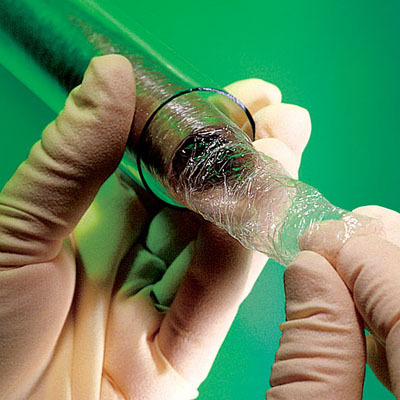 SnakeSkin Dialysis Tubing, 3.5K MWCO, is composed of regenerated-cellulose dialysis tubing and supplied as an open, pleated (telescoped) tube. 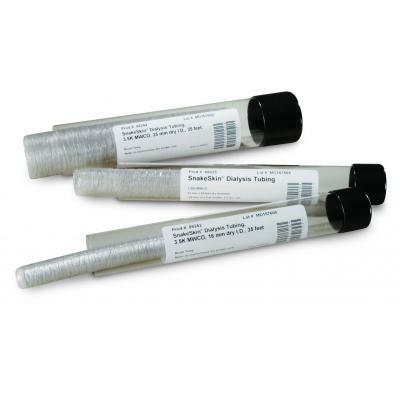 SnakeSkin Dialysis Tubing is supplied in eight inch (20cm) sticks containing 35 feet of dialysis tubing having a 16, 22, or 35mm circular internal diameter (I.D.). 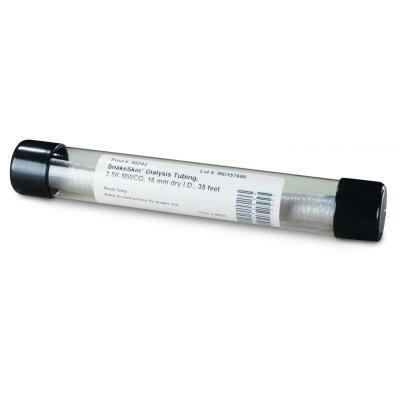 With similar capacity to 10.5 meters of 23 to 50 diameter dry flat width tubing, the hydrated SnakeSkin Dialysis Tubing holds approx. 2 to 10mL of sample per centimeter of length.